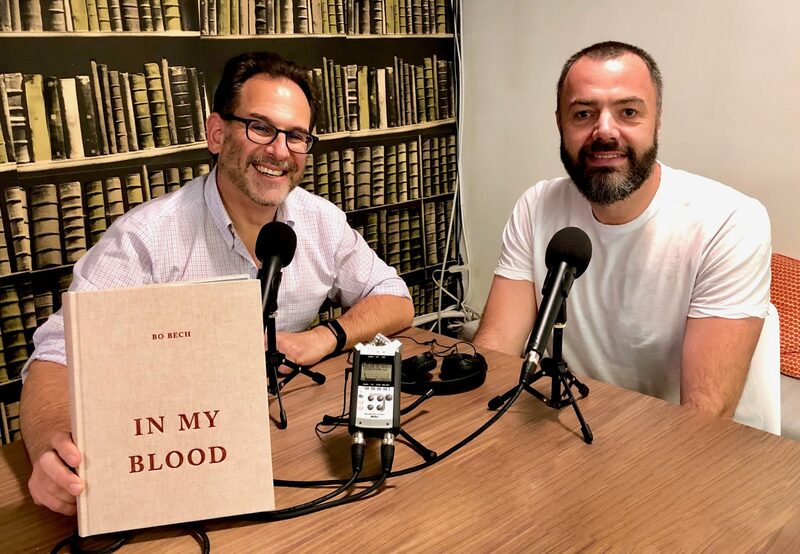 In My Blood is the title of chef Bo Bech’s stunning and singular new book, and it’s an apt description of the man himself. Bo sat down with Andrew this week to discuss his book, which tells the story—in words, watercolors, photographs, and recipes—of his Copenhagen restaurant Geist. The interview is as unique as the man and his book, full of culinary and philosophical revelations, vivid descriptions, passion—plus an examination of the life lessons of the Rumble in the Jungle. (To order Bo’s books, visit ChefBoBech.com.) Here’s a thought: If you like what you hear, please tell your chef-fascinated friends, subscribe to Andrew Talks to Chefs (it’s free) on iTunes or Stitcher, follow us on your favorite social media platforms @ChefPodcast, and/or rate or review us on Apple’s podcast store. Thanks for listening!